Themes give you the ability to customize the look & feel to suit your unique tastes and needs. 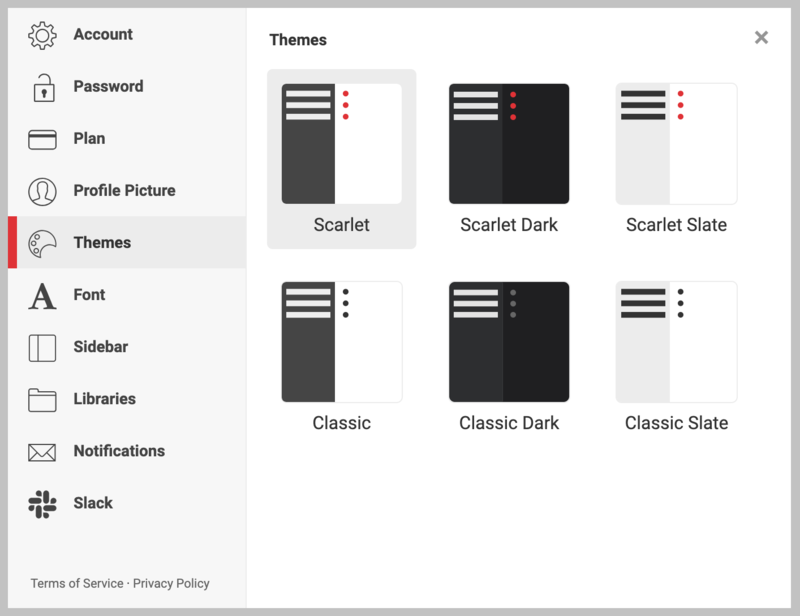 Scarlet is the default theme in Notejoy that you enjoy today. 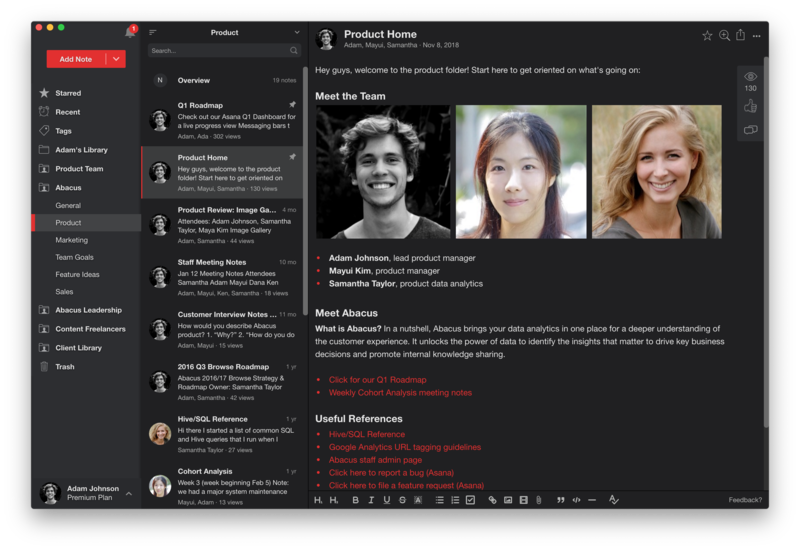 Scarlet Dark is our first dark mode theme, which applies dark mode to our Scarlet theme. 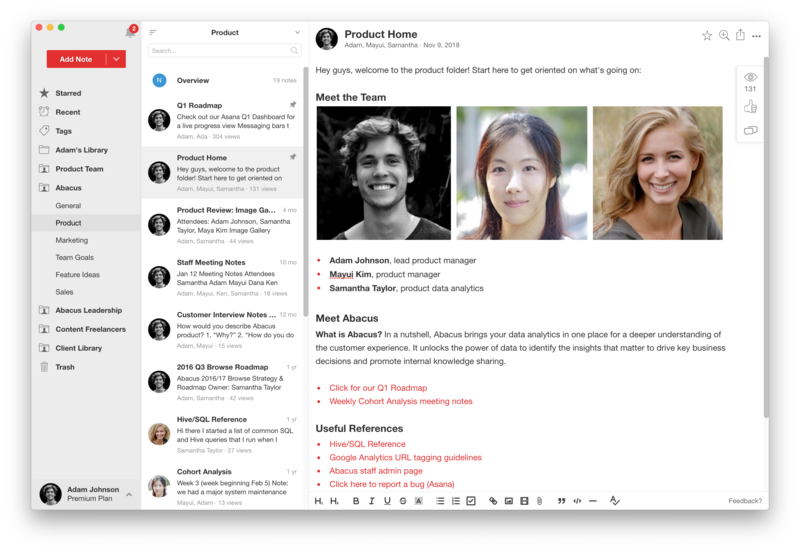 Scarlet Slate introduces a lighter grey sidebar for those who want a bright Notejoy experience. 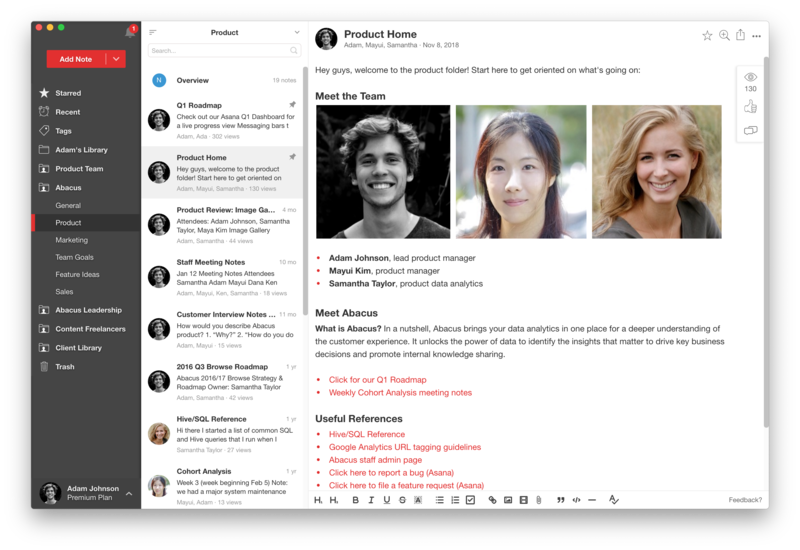 For those who don't love the red accent used in lists, links, and more, the Classic theme removes them from the editor to create a more traditional look & feel. Classic Dark, our second dark mode theme, removes the red accent used in lists, link, and more from the Scarlet Dark theme. Classic Slate introduces a lighter grey sidebar for those who want a bright Notejoy experience but removes the red accent from the editor. To set your theme, head over to Theme Settings (click on the user menu in the bottom left corner, select Settings, then toggle to the Themes tab). You can pick a theme and it is instantly applied so you can quickly preview each before deciding on the one you love.